Closed for lunch from 12:00-12:30 Sunday. Will definitely recommend the services. Gary Garcia was great. Thank you! Thank you for your services. Ana was my service rep. I suggest to anybody who needs a storage unit to call StaxUP and speak to Gary. 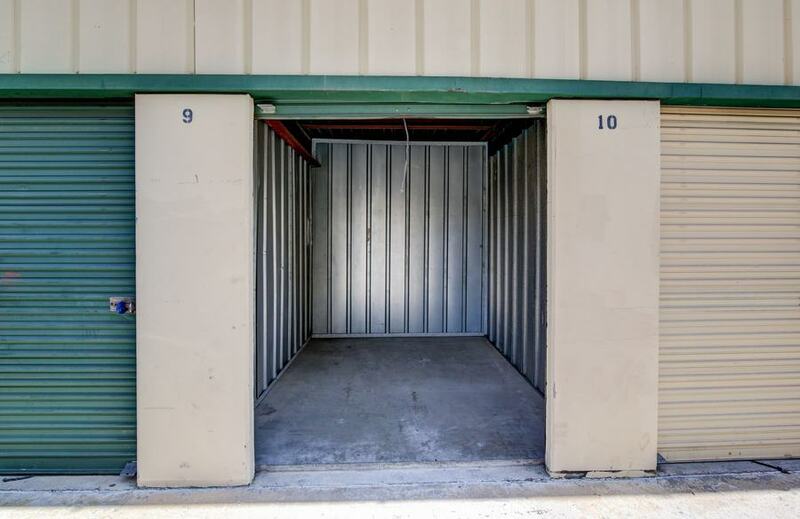 After going to three storage businesses, Gary was the only one that actually showed me the storages so that can see for myself the sizes and what I need. Customer service is excellent, always very helpful. Great experience w/ Gary. Overall I give him a 10 in excellent service, he was very accommodating and friendly. I would definitely come back because of the excellent service I received. Gary was great from the start, great customer service, outgoing and made everything very convenient for us. Great experience, will recommend StaxUP to my friends and family. Thank you very much. From the moment I walked into this facility, I had the utmost pleasant experience with the owner and former manager Yesenia and in the upcoming months, I had the pleasure of meeting Gary and I am so pleased that he is now the manager. You couldn't have picked a better person as he is pleasant, professional and so courteous and customer svc. orientated. It's a pleasure to come to my storage facility as he and Ana Make it a pleasant visit. I really appreciate them both! Please don't let them go or move them away! We were one of those. Always something. Unit too small, then 2 units, back to 1, losing gate code. We always got excellent service. Highly recommend them and StaxUp! Gary offers great customer service. Hours are very convenient. People here do it right!! Great location with reasonable prices. Gary was very pleasant. Great customer service. Employees were very friendly and helpful and fast. Im happy with their service. Thanks Gary and Ana. Since 1999 client. Thanks for everything. We are a partner. Was in different units and thanks again. Great customer service from Gary and Ana. They always willing to help. Looks safe and clean. Gary is the best! I shopped around town for the best deals, but what drew me back to Stax Up Storage was Gary. He took his time to show me units until I found the best one for what I needed. I will definitely recommend this place to everyone. Thank you Gary! Entire crew was extremely nice and courteous. I found the whole process pleasant and convenient. This is the 2nd time I rent a storage in this facility and both times Gary has assisted me. He is Very Friendly and Professional. I highly recommend StaxUp Chula Vista because of Gary's Customer Service. I have recommended friends and Family members, and they are too very pleased with the Customer service and Facilities. Gary is a great asset to your team! Thank You! Gracias Gary Garcia por tu servicio. Amable profesional. Thank you. I wish to state the professional service received by Gary Garcia, is worthy of all praise and merit. Hi, I want to say thank you to Stax Up storage and a special Thank You to Gary! He was so helpful with providing me with the perfect space I needed for my belongings. He walked me through a couple of spaces to make sure I got the one that fit my needs. He was thorough in explaining the documents, from the insurance to the auto pay. I commend StaxUp for employing a guy with such a friendly nature. I started moving my stuff the following day then I received the same customer service from Ana ( I hope I got the name right, she's pregnant) She was awesome to! Thanks again to all of you! Gary did good job. I like his services. I'm very HAPPY with everything. Clean facility and the best prices in the area. Gary was always helpful and accommodating, with a very good sense of humor and willingness to do his best by you. I really appreciate the staff at this facility. They were always friendly and helpful. Thank you Gary for your great work! Awesome coustomer service..Best prices in town!???? Customer service was way over excellent. Gary great helper! Enjoyed having my furniture in this storage. Great friendly Courteous staff. Thank you Gary! MuyBuen Servicio Atencion es excellente y la communicacion tambien es bueno! The worker was really helpful with all the information for the storage and information booklet. Gary Thank you! I love it, was a one stop shop. truck and storage in one place. excellent customer service. service was fast, convenient, and hassle free. Very Helpful, will work with you .This new management is good so are the cameras. always kind , helpful and make you feel welcomed. always ready to help us. great prices. location was perfect and the customer service was great. gary buen trabajo y serv. para rentar una bodega.muchas gracias creo que lo deran de mantener dentro del negocio. Excellent customer service. This place has really cleaned up.That's what all the places need.Everything is great here.Very humble people . I like your place. I was helped by Gary who exhibits good customer relations. Overall, your employees are most helpful and personable. Gary nos a tendio. Muy bien. Perfecto- muy amable. Great service! Great personnel! New management great! Great changes! The service was great. Gary assisted us and he was very informative with good customer service skills. I am so happy with the customer service. Thank you !! Muy agusto con el servicio, muy accesible y bien limpio. Muchas gracias a Maribel que siempre estubo al pendiente para poder conseguirme un espacio. Great Service:) First time renting a storage and Esmeralda made it fast and easy. very happy customer. Friendly service, clean facilities and quick registration process thank you . Excellent all around we will recommend to friends and family, thank you. Francisco and Maribel have a very good customer service, thank you. Francisco has great customer service, he was very polite and informative and very patient. Very nice persons Francisco, Esmeralda and Maribel great customer service, thank you! Esmeralda was very helpful and straight forward with pricing. Maribel was very nice in showing me different units.Would refer to family and friends. Fue un trato y servicio excelente , personas muy amables y atentas muchas gracias. Great customer service, excellent staff, great prices and locations , thank you. El trato es excelente, todos con mucho atencion muy professional, gracias. Carlos was so helpful. We were looking at one unit, and it was a bit small for our needs. He told me to hang on and wanted to show me another unit for a little more $$ and it turned out to be exactly what we needed. He walked us back to the office and let Esmeralda know that we changed to a different unit. Esmeralda was GREAT!! She had A LOT of customers to help, and she always addressed everyone, thanking them for their patience and that she would help them very soon. She efficiently used her time to take care of those making payments and those securing a unit. She was literally doing two jobs simultaneously, without skipping a beat. We were able to get our unit and are VERY HAPPY. We will soon need a larger and I KNOW we will be taken care of by Esmeralda and Carlos. They truly know their business and are there to help. I give them an absolute 5-star rating!! Thank you both!! El personal es mu atento me mostraron varias bodegas para escoger la mas apta para mi. Muy buen servicio y muy amables todos. Good Customer Service Good in helping me find what I needed. Very Helpful. Previous customer came back for their prices and service. Moved out of my unit but I had a great stay very easy to deal with. Todo fue muy claro, servicio muy rapido y amable mucha gracias. You have am awesome facility. Esmeralda was a wonderful lady. She was so pleasant and very through in the explanation of all rules. Wonderful experience Francisco showed me a better unit and it worked out GREAT! Wonderful Staff! Happy to receive good customer service from Francisco and Esmeralda. La atencion que dan a los clientes es excelente, muy Buena actitud muchas gracias. ESMERALDA WAS A VERY GOOD PERSON THAT GOT ME GOING IN MY STORAGE.SHE WAS VERY HELPFUL AND DESERVES A HUGE RAISE!!! The quality of the property is great, customer service is friendly and professional, price was great, overall a 5 star property. THE ONE THING I CAN SAY ABOUT THIS FACILYTY IS THAT EVERYONE IS AWESOME!! Despite my having a 2nd floor unit, the staff are very accomodating--they bring out the forklift (which is used to lift items to the 2nd story) whenever requested, and promptly. I only had to wait once, as the driver had to run an errand, but they had a really hot girl fill in, so it was worth it. They are all friendly, and they provide bottled water, a necessity after piling stuff into a unit. Maribel gracias eres muy amable y simpatica eso es muy Bueno para atraer mas clientes a este negocio me quedo clara toda la informacion, muchss gracias. Francisco muchas gracias por su excelente informacion me convencio, me quedo aqui porque tienen un personal muy amable y muy Buenos precious. Francisco was Great he was very helpful and even though it was raining he had a great attitude by helping us with the forklift, Thanks for your great service. Great Good and Nice customer service was pleased ThankYou. They are informative and competent and friendly. Good Service will recommend this place. StaxUp has great staff willing to work with my needs. Great Service, all i one also rented my truck for my move. I really had successful help I thank you all very much. !!!!! I was really happy with the service, they treated me really good. Muy buen servicio espacios amplios y limpios servicio al cliente excelente. Victor and Francisco were awesome. Made everything super easy and conforting will defenitely reccomend this place! Everyone was very helpful answered all my questions, and received a great move in promotion. Very Happy with the service! Very well organized treated me with respect and very professional definitely recommend this place to others. Victor gave excellent customer service he help me get the perfect size storage! Good Customer service got a great move-in deal and a good month-to-month rate. I enjoyed having a friendly converstaion while doing my rental may the process easier, very helpful staff. Gracias Victor por la amabilidad y la disposicion de ayudarme e informarme correctamente la situacion y solucionarla. Muy atenta y clara la informacion que me dio la senorita Maribel y documentacion inmediata...Gracias!! My brother has a storage at this location and he referred me to rent , he said they had great prices and the staff was the best, all his recommendations were true. I am a returning customer they have very good service!!! I am a return customer and I decided to come back because everyone in the office is very helpful! I've been renting for over a year and I have all good things to say about this place its clean, staff is helpful and friendly and I always recommend this place to friends! This was a great experience, Victor and Esmeralda went our of their way to show me around, let me see different storage units to choose from. They were friendly and courteous. Thank you so much. Love the customer service everyone is always willing to help! Its diffrent to see girls work the forklift ? I was treated with the outmost respect by Maribel,Esmeralda and Francisco, all my needs were met and all my questions were answered by the knowlegable staff. The price and promotions were reasonable. I recommend Stax Up Storage to the San Diego community, Thank you. Thanks :) Your staff is awesome. They made my reservations + space rental easy. Very nice and friendly efficient and courteous staff. Location is clean, organizeand very secure. I feel comfortable with my decision. Great customer service :) ! Great price, GREAT SERVICE !!! Very good service, very clean. The service was good, person in front it was very nice, keep up the good work. Atentive and great service and price. Very friendly, helpful and overall, great experience.Very hassle free! Great inside and outside service! Very good service, Francisco and Maribel were very helpful. Me gusto mucho como me atendieron son muy profesionales quede satisfecha. It was quick and easy. Well prepared. He sido cliente por muchos anos, muy buen servicio me siento muy agusto, los recomiendo. Todo un exito, equipo dedicado a la atencion al cliente felicidades. La muchacha fue muy atenta al momento de atenderme. Muy buena atencion !! Buen servicio, la atencion amable y clara. Great customer service, location very clean !! Esmeralda and Francisco provided excellent customer service to use.Im glad I came to this storage place. Very good and excelent service in moving my belongs !! Victor was very helpful and nice. Happy with all the service. The service was great !! Very helpful and friendly ,profesional and corteous! Highly recommend. Very friendly and professional. Thanks!! Excellent and Professional Services....Thank you !! Muy agradable y simpatica me agrado mucho la atencion que me dio Maribel. Esmeralda Picazo did a Great Job! We feel very fine that they took care of everything! Esmeralda, Victor and Francisco were very helpful, They work hard! GREAT SERVICE, HELPFUL STAFF, GOOD LOCATION, VERY COMPETTITIVE PRICES. Muty bien toda la locacion y todos son muy amables. Staff is wonderful.Very friendly and every detail was well explaine. I would tell my friends about this place. The Staff here at Stax-up storage have beeen awesome and very helpful!!! Great Staff Very nice cosmetic changes! Maribel is very nice and profesional employee. Great customer service. great profesional personal. Personal muy agradable y muy servicial estoy muy conforme con el servicio. Gracias! una atenion excelente y todo en buena condicion gracias po todo! Agradecidas por el descuento, muy buena atencion, nos dan seguridad y apoyo en entrada y salida. Best Customer Service! Very Helpful. Maribel Martinez was very nice and helpful with me...Good customer Service. Esmeralda is very nice, friendly and proffesional. I VALUE THE STAXUP STORAGE CUSTOMER SERVICE AND PROFESSIONAL STAFF. ESMERALDA TREATS ME WITH PROFESSIONAL SERVICE EACH AND EVERYTHIME I COME TO PAY MY STORAGE AND HAVE QUESTIONS. I THANKS YOU FOR THE SERVICE. Thank you guys for having. Exceptionally great service!! Even wgen there busy they acknowledge I am there. They always greet me by name! Thank you and keep up the great customer service! I am very happy with personnel, they always very helpful, Managers are very special people. Mi esposo y yo tenemos rentando en esta locacion mas de tres anos me gusta mucho el servicio, los empleados siempre estan dispuestos a ayudarnos y a ofrecernos un buen servicio, definitivamente una locacion para recomendar a mis amistades. MUY BUEN SERVICIO EXCELENTE ATENCION BUENA SEGURIDAD ESTOY CONFORME CON EL LUGAR Y SIEMPRE LO RECOMENDARIA A MIS CONOCIDOS! I am more than satisfied with the service provided at this location. The employees are always nice and helpful. Also, Its always nice to see the manager available, you hardly ever get to see the manager at other storage places. I been in business with this storage location for about a year now and i couldn't be happier. the service was courteous. The staff answered all my questions and patiently showed me the various options in storage area sizes. They also made renting a truck very easy. Me gusta como trabajan las muchachas de la oficina me encanta ver la relacion que llevan. Esmeralda y Maribel tienen muy bonito caracter y me encanta la remodelacion que hicieron en la oficina! This Storage facility is exceptional, I have been with Stax for a long Time now and the service is awesome, the management staff is friendly and helpful, Esmeralda is top notch, Francisco is the most helpfull staff member i've met. Overall they have great pricing and easy to work with. Highly recommend them to do business with! The staff at Stax Up Storage is on top of things. They are professional and always available to help when needed. I have stored things at other facilities but the team at Stax Up, they know now to get it done right!!! We have been doing business with this company for about 20 years, I will say that ove rthe years there have been several different managers and the staff that is here now is the most professional and righteous that have been here!! I would and do recommend this facility to others!! Thank you Anna and Gary for taking your time right before closing to show us some units and for getting us in before the office closed . We originally had made reservations at public storage on main for 5:30 and as I got there at 5:20 they had given our reservation up and had no room for us . Last minute uhaul full , I called stacks up Right before closing 5:50 with no hesitation they told us to come down and they would find us something . They showed us some units that best fit our needs and hit us in . Thank You both for going the extra mile . I applaud you both for your excellent customer service . I wish I could give you guys 10 stars . Im impressed with the customer service here. Very friendly and plenty of light in the units. They have access to uhaul trucks on site. After a long day of searching this is a great spot. I been renting a unit for many years. Staff has always been kind and accomodating. This past year i had to let go of my unit. Gary, the new manager, was awesome with assisting with this process. He helped me tremendously by helping me recover photos that i would have lost forever. Memories are hard to replace and he helped me to recover them all. He went above and beyond what i had expected. Caring, kind and selfless people like him are few and far between. He was a life saver for me in time when it seemed so diffucult. I am so grateful with everything he did to help me out during the moving process. Thank you so much, Gary!!! Great place. Great service. Been a customer for a long time. Gary was awesome super helpful and Danny Was on point with the walk thru no wait less than 10 min paperwork and keys in and out No hassle! I have a storage here and I'm extremely satisfied with how everything is handled whether I need help with my personal storage belongings or information on other possible storage units for future storing. Well ran facility. Gary is very helpful. Gary Helped is out super Quick Made Us (Customers) a Priority. Highly Recommend This Place. The staff are extremely friendly and helpful. I go to Staxup Storage consistently and I love that the same staff help me every time. Very chill and down to earth people. Fast, friendly service and reasonable rates. One of the managers, Gary is always very helpful. He goes above and beyond his duties to ensure satisfaction with your storage and truck rental needs. Before I even got out of my car he greeted me with a wave. Always a pleasure doing business with companies that respect their customers. The managers here are exceptional and they all remember me and my family when we stop in. If you are looking for a storage unit this place is as good as it gets. It is always clean and well maintained. The staff are always present and friendly. Convenient Location and good pricing too! Easy to get to and very easy to work with Gary and Staff. Very clean property. I would highly recommend Staxup Storage to anyone looking for storage of any kind. I have had a pleasant experience at this facility. Grey is and has been very pleasant and quick with the forklift when we needed assistance. He always went the extra mile to please us. Thank you Grey for everything you do to make this storage facility a success. Hopefully the rumor isnt true about you leaving to another storage facility. If you do leave they need to clone you so we could have the same customer service. Special shout out to GARY who went above and beyond to make sure everything went smooth and pleasant. The whole team from the call center to the management were very friendly and accommodating. I moved cross country from NY and was instructed on how an 18 wheeler drop off would work at this location. We arrived just before closing and were grateful that Gary could help us set up our unit rental quickly. He stayed a few minutes past closing to make sure we were taken care of. Good and efficient customer service! I love this place,they treat me like family. I have been with them for 5 years, and everytime i need something they are there to help.They go out of there way to help me..
Gary is awesome he was great! He went an extra mile to ensure me a truck. Love this place for the awesome customer service and the action that Gary took in going out of his to please . Definitely deserves 5 stars. Made my first experience renting a storage an awesome one. Gary was very helpful and provided me with excellent customer service. Thank you very much. Great service. Gary was very helpful and accommodating. He helped me find the perfect unit for my needs. 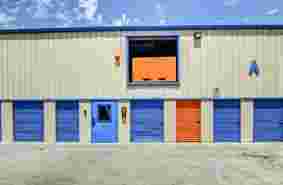 Great service, clean storage units, & good prices. Gary and Ana are a good team, big help and always greeted us with a smile. I appreciate their service and would recommend Stax up storage to any friend. My wife and I found StaxUP Storage to be the best storage unit that we looked at. Prices seem to be very good and the assistant managers, Ana and Gary are very nice and helpful. Gary and Ana, the assistant managers, are very nice and very helpful. We haven't moved in yet, but we are soon and think we found the best place. They are truly assistant managers! This guys are awesome gary gave me some options and some great deals we where running tight on time and the guys gave us the extra help we needed made our move so much easier. Great location. And easy access. Received great customer service from Gary Garcia. He was very polite, friendly & efficient. They also had a great promotion, offering 50% Off the first two months. Great service friendly staff. Mr. Gary Garcia asst. Manager is the best on customer service. Gary showed me multiple units which allowed me to pick a unit the best fit my need. Very friendly and accommodating. Gary showed me multiple units, which allowed me to pick a unit that best fit my needs. Very good prices as well. If you are on the 2nd level, they load your possessions up with a forklift, which is very helpful. Also, Gate hours are 5am-10am, 7 days a week! Great service from Ast Mgr Gary. He put alot of time and effort to get me into a larger unit. Gary was great. Friendly and quick. I'd recommend anyone to him. Gary is a wonderful employe. He is very tentive in all her appears to do. He is very thorough and patient. He showed us many units and explained everything to me. Beautiful customer service and I highly recommend both him and this facility. Thank you once again Gary and Staxup! Gary is a excellent employee. I couldn't do it with out his help and service. Great customer service. I moved to Stax Up storage from another service. It is the best service and Gary is great manager. He took time to show me all available spots and I was able to choose the one best for my needs. Thank you! They offer very competitive prices on their units and excellent customer service. Gary did a great job handling the paperwork and showing me the property. Gary has always been so helpful and gives great customer service. I've been there for about almost 2 years and I enjoy being able to know that I get good customer service. Gary provided great customer service. Got back to back transfers based on my personal needs thanks to Gary taking the time to not only call me but show me a different unit to make my experience the easiest all the way around. Ask for Gary I guarantee it. Friendly professional staff and down to earth with StaxUp Storage your with family Gary is your to go guy he I'll take care of it Ana was great second nature with the forklift, I highly recommend this place for your storage needs. Walked in and was assisted by Gary. I was clueless as to what size storage to rent for my stuffs. I let him know what I have and he showed me one base on his experience (I have my doubts). On moving day, he was there to help and advise, everything fits perfectly! Gary made the entire experience STRESS FREE. He's the best! Great and helpful staff.... Especially Gerry he is very helpful and always trying to go the extra mile to make my experience good.. I'm glad I chose this storage.. Just ask for Gerry you won't be disappointed. They provide great customer service. Units and building are always clean. Gary especially is very helpful and great customer service. The people that work there really go the extra mile. I got a really good deal and I'm very satisfied with my storage unit. Gary has helped me considerably with all my belongings to assure me that everything is safe. Thanks to everyone at staxup. Gary is AWESOME he is always very helpful and knowledgeable. Gary is always available to help he even carried boxes downstairs for us. I highly recommend this location. I would definitely give 5 more stars if I could! This storage place is AWESOME!!! The facilities, staff, customer service, price......ABSOLUTELY EVERYTHING! 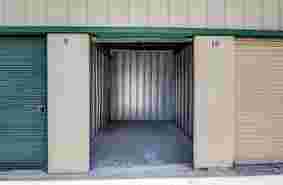 I found this storage facility while I was browsing for cheap storages in Chula Vista. This was the one that popped up first. I checked out the website and went in for more details/info. The manager (Yesenia) was of so much help and very friendly!. The second time I went in to reserve my storage, Gary (staff) was incredible, polite, friendly and helpful. He showed us the place around and answered any questions we had. Excellent customer service! He is one of the friendliest employees that work there! I highly recommend StaxUP (Main Street), storages are clean, wide and low priced. I congratulate the company,because the people who work in the office are very professional. They treat me very friendly. I recommend this place with pleasure ! what keeps me coming here is the service,I noticed that they don't only treat me like this,they treat everyone the same. Great service. Gary got me setup in no time. Highly recommended. Great customer service , Gary Garcia thank you for going out of your way in helping me with all my needs. 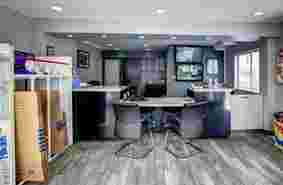 Excellent customer service Clean environment I was attended by Garry very helpful and respectful Will highly recommend. The staff here goes above and beyond !! Gary helped me find a great unit with an even greater price. I definitely would recommend this location for all your storage needs, they even have moving supplies and usually rentals. Came TO Stax up. GARY hooked it up with a great deal. EXCEPTIONAL customer service. GREAT place to store your items. 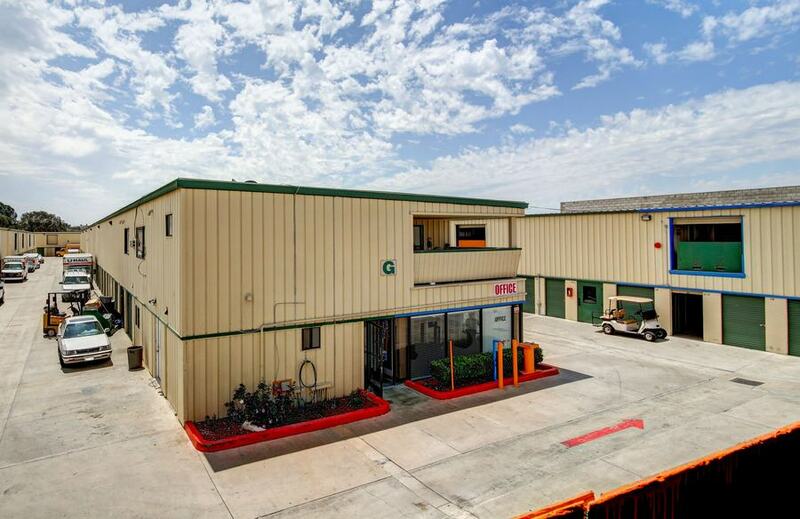 Just a few blocks from I-5, StaxUp Storage is situated in a premier location in Chula Vista, CA. You'll find us at 3089 Main St near Smart & Final, Main Street Recycling, Hernandez Tire Sales, and Over the Border, just north of the Otay River. 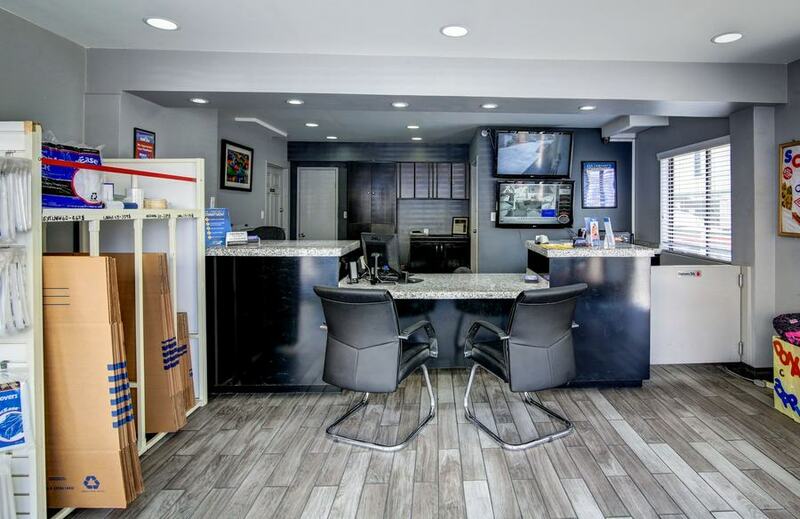 Since we're so conveniently located in southern Chula Vista, we're an excellent storage destination for residents and businesses near Imperial Beach and Tijuana as well. Come visit us and let us show you what we can do to solve your storage problem! Are you tired of stepping over extra boxes, toys, and items that you rarely use? Is your living space small and you don’t have room for your off-season clothing? Are you tired of parking in the street because your RV is taking up your entire driveway, or because your garage is full of tools you rarely use? If you answered yes to any of these questions, you’re sure to benefit from the affordable storage options you’ll find at StaxUp Storage! Our premier facility in Chula Vista, CA offers low prices and a wealth of storage features that make your storage project quick, easy, and convenient for you. 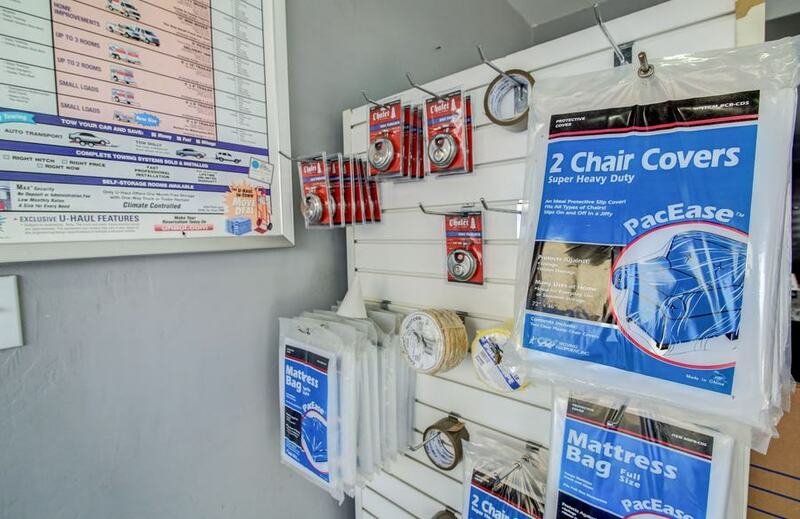 We’re truly your one-stop-shop from start to finish! You can purchase your boxes from our office, pack them, rent your U-Haul moving truck from us, and easily move your belongings into one of our clean, affordable units by driving right up to the door of your unit. What’s more, our facility has some of the lowest prices around! Our facility has a variety of parking options as well. We can easily store your boat, RV, or other vehicle in one of our spacious parking spots. Additionally, you can rest easy while your vehicle or belongings are being stored away from home, because our fenced and gated facility is equipped with secure technology to maintain a safe atmosphere. We’re eager to provide you with the options you’re looking for near you. Contact us today and we’ll help you get started with a fantastic storage unit at a great price! Here at StaxUP Storage, we know our success is due to our wonderful team. The care they give our renters is unparalleled and we want to highlight their milestones along the way. Below is an interview with San Diego team member Gary Garcia who is celebrating his 1-year anniversary with StaxUP Storage this week. All interviews are performed by Peter Soto. Gary is the Manager at StaxUP Storage – Chula Vista. Peter: How did you get started in self storage? Gary: I’m going to be honest with you. I was just looking for a job. At the time I didn’t have transportation, so I was looking for something local. I’ve always been interested in property management. In fact, I was looking for something more along the lines of residential management, like apartments. When I was going through job searching on craigslist I came across one that was local, it was in Chula Vista, started off with decent pay and it was basically for maintenance. Although I wanted to become a manager eventually or assistant manager, what I knew how to do was maintenance. That was my foot in the door, so I went in and applied for it, two, three months later I got the call and I’ve been here ever since. Peter: That’s great. You worked your way into management now. Gary: Yeah, I’m the maintenance and assistant manager, so I do both office work and the maintenance. When I first started, they told me I would be doing about 20% office work and 80% maintenance and that kind of scared me at first, because I wasn’t really computer literate, but now that’s where I prefer to be. I love interacting with the customers. I love the whole aspect of the office, so it’s been pretty fun. Peter: So you’d say StaxUp took the time to set you up with computer and back office skills you didn’t have before? Gary: Yeah, they’re 100% responsible for where I’m at today as far as my level and where I’m headed. I give them 100% of the credit for that. Peter: Awesome. I’ve done a number of these interviews now and something that I hear all the time is that Strat Prop really takes time to invest in their team, but they also give them a lot of independence. Is that similar to what you’ve experienced? Gary: Oh, yeah. I have my fair share of independence. They let you go on your own and use what you’ve learned to the best of your abilities, which gives you trust and when you get that trust it builds your confidence. I want to make sure I do the best I can in order to show them that I’m capable. They gave me everything I need to do the job I’m doing. Now sometimes I work alone. I have no problems. I’m not worried that I’m going to do something wrong or come across a situation I can’t handle. That was something they did during our training. Peter: So after a year do you have any stories or moments that stick out in your memory? Gary: I’m not sure about stories. I just know that with both of my team members, it’s always full of laughs and it’s always a great time. The things that stand out the most are almost all customer related. There have been so many times, so many moments of satisfaction I get from helping somebody or calling somebody by their name as they walk in and making them feel a part of something. Those are my rewards. Peter: Oh yeah, just doing the right thing. Gary: Yeah, it’s integrity, right? That’s one of the things, being able to apply integrity in my position and going full out for the customer makes my experience here all the better. Peter: Self storage seems so boring on the outside, but when you hear things like that you can see a lot of humanity in it. Gary: You’re interacting with so many people. Some are just here to store personal belongings for a short period of time, but everyone is storing their personal belongings and they have a story behind it. You know, some of them are not so great. Some are moving on to something better and they just need something right now until they get into a bigger house. Or some people who have just lost everything. Just being able to sit there and talk to them and comfort them and try to make their experience the best possible under the circumstances. It’s great. Something I’ve noticed in self storage is that you have an opportunity to do that every single day. Peter: You really meet all types of people in the self storage industry. 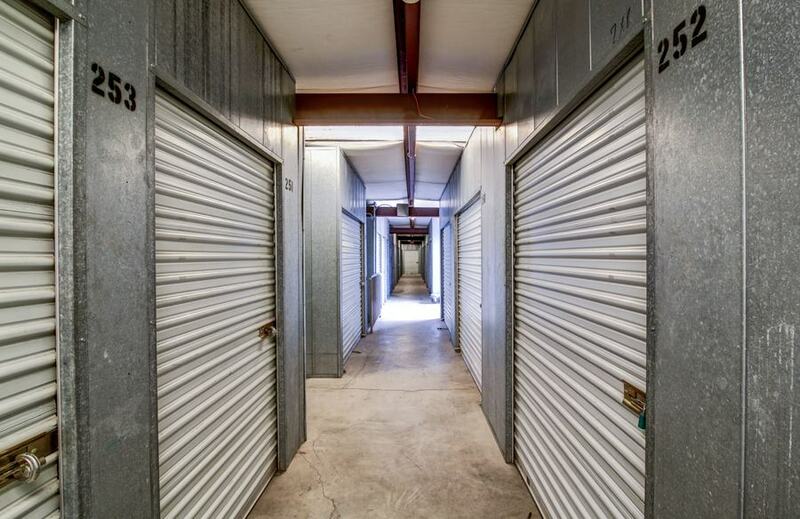 So, you don’t spend all of your time at the self storage facility. Who are you when you aren’t at work? Gary: At this point I’m just a father. I go out there and do everything I can, even on my days off. Just yesterday was my one weekend day off and I wanted to relax and do laundry, so my kids have laundry for the week and instead my cousin is here from out of town visiting my grandma. I guess they went into her trailer and saw it leaking and found some mildew, so they ended up tearing down the whole roof. The walls were all messed up, so they called for my help, so I went over there and knocked all the walls out. Now it’s all open and exposed. Everything’s gone. Then yesterday we put the whole thing up in one day. Gary: Yep. We put the walls up, all the joints all the rafters, side paneling, ceiling. So then it was just up to my cousin to put the roofing and drywall in. We got it all done it one day. It was cool. It’s one of those things. I love the smell of cut wood. Just being able to do something for somebody is it’s own reward. I didn’t expect to get paid for it. I just happened to be available and I knew what I was doing, so it was fun. Other than that, I used to draw. I don’t really get into that anymore. At this point I am just focusing on my job and seeing where I can go with this. I think my biggest and best hobby and pastime and everything all together is just being a great father to my two kids now and just being able to provide for them. That’s what it’s all about for me. Peter: What are your kids’ names? Gary: I have a son that’s named Gary as well. He’s 13 years old, just turned 13, so I got a little teenager on my hands. Then I have my daughter, Gabriella, Gabby, she just turned nine. She’s like my little heart beat as well. My little daddy’s girl. It’s not easy being a single parent, but at the end of the day it’s worth it. Peter: That’s a huge job. Gary: Yeah, that’s why I have gratitude toward Strat Prop, because they’ve actually given me the skills , tools and essentials to help provide for them. Peter: That’s heartwarming. So do you live in the Chula Vista area? Gary: It’s kind of funny, because I’ve been here my whole life. I live right off of Hilltop and Palomar. I’ve lived down this road for 30+ years, so I know everything here. I’m very familiar with this whole area, because I was born and raised here in Chula Vista. That’s one of the main things that attracted me to this property, that it is in Chula Vista. Right now I have joint custody of my daughter and she’s a big part of my life, so I have to be within this area in order to maintain that, so this is perfect. I’ve been living here for 43 years in Chula Vista, so it’s pretty convenient for me. Peter: I’ve only been in that area a couple times. As someone who knows everything around there, do you have any suggestions for things I can do it Chula Vista next time I visit? Gary: Depends on when you come down. If you come down during the summer time, let’s say you come down in May, from the end of May to September, you could always check out the water park right here on Main Street that was once owned by Knott’s Berry Farms, but now it’s owned by Sea World. It’s called Aquatica and it’s maybe a mile and a half from here. It’s a nice summer spot. Nice water slides. It’s a pretty nice place to go. Other than that, it just depends on your tastes. There’s good pizza at La Bella’s, good Mexican food at Hermano’s. There’s a few things to do around here. But, like I said, I’m more of a home body. There’s the AMC right here off of Palm. That’s my favorite one. Out of all of the theaters in the area, this one is the cheapest for some reason. Of course, the one in Chula Vista mall has recliners and you get to reserve your seat, so that’s kind of good too. Peter: Those were actually all of the questions I had prepared. Is there anyone at the company you would like to give a shout-out at StaxUp or the home office? Gary: Anna and Yesenia at Chula Vista, Monique and the crew over at San Ysidro, Adam and the team members at Ballpark, and, of course, everyone at the home office at Strat Prop! StaxUp Storage in Chula Vista raised more than $250 worth of school supplies for students at Park Village Head Start! Thanks to everyone who donated! The team at StaxUP Storage in Chula Vista preparing to take school supplies to students at Park Village Head Start. Park Village Head Start students receive school supplies from StaxUp Storage in Chula Vista. Here at StaxUP Storage, we know our success is due to our wonderful team. The care they give our renters is unparalleled and we want to highlight their milestones along the way. Below is an interview with Chula Vista, CA team member Gary Garcia, who is celebrating his 2-year anniversary with StaxUP Storage. Gary Garcia is the manager at StaxUP Storage in Chula Vista, CA. You can ask Gary for self storage help at StaxUP Storage in Chula Vista, CA. Colby: What year anniversary are you celebrating? Gary: This is my second year, so I’m just a baby in the company. Colby: Take me back two years ago when you first applied, what was it about the company that stood out to you that made you want to work for them in the first place? Gary: To be honest, I was just basically looking for a job at the time, I was just looking for something that was local and was in my trade range which was maintenance. But it wasn’t until after I met Julie and Don that I actually found out what kind of company I was getting myself into. And I realized that for me it was a great company, because they are going to give me opportunities that are kind of rare, you know? Colby: For sure, for sure. So you’ve been there a couple of years now, what’s the biggest thing that you’ve learned about the industry since you’ve joined the company? Gary: The diversity. 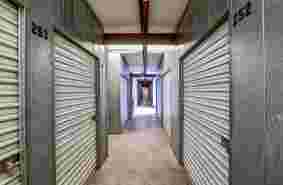 There are so many different aspects to the self storage industry. Really we are here for the customers and to make their transition a pleasant one. It is a business, but we are also in the business of helping customers with what they are going through. Colby: Do you have a favorite story over the last year that really stands out that’s worth a retell? Gary: I am not sure if I have a story but, we get to help the homeless and help those in need around Christmas and Thanksgiving. Sometimes just being a part of their story makes it a better story for myself. Colby: Cool. Well, outside of self storage, what’s your favorite thing to do when you’re not at work? Gary: I really, really enjoy annoying my kids! That’s what I really enjoy, that’s my hobby now. I have two kids. I have a teenage son and a preteen daughter. So just joking around with them; that’s my hobby now. Colby: What’s your favorite place to eat? Gary: Well I don’t really go out, so I guess my own kitchen is my favorite. Colby: Oh okay, so what’s your favorite dish to make? Colby: Right on right on, just good combinations? Gary: Yeah, you know, a pinch of this, and a shake of that, and see what comes out. I enjoy cooking. Colby: What’s your favorite thing to do in town? Is there a place you and the kids like to go hang out? Gary: There’s a place in town called Aquatica. We’ve been going there for the past three or four years now and the kids look forward to it. When we started going it was always me and the kids and a bunch of different rides, but as the kids get older I don’t go to all the rides with them. My son always wants to go with his friends. I guess they have more fun with friends. But it does allow me to sit under the canape and do some reading. Now I am more of a homebody, I enjoy the simpler things, you know? Like Netflix. Colby: Is there anyone you would like to give a shout out in celebration of year two? Gary: Yeah, first and foremost, Don and Julie for giving me the opportunity to come on to the team, without them I don’t think I would be where I am now. And I do really appreciate their patience and guidance and understanding. My former manager Yesenia, I want to thank her for all she has done for me. My assistant manager is great. She is beyond great, and I really appreciate her so much. Ana of course deserves one. Monique, our district manager, has shown me encouragement. She has taught me so much and really goes beyond. To our new member Daniel for adapting really quick and being a great help to us. Pretty much the entire staff! With Easter not far away, we are excited to announce that our facility manager, Gary Garcia, is celebrating Easter this year with two “Easter Basket” giveaways! The purpose of this giveaway is to give back to the community and show all of our customers our appreciation. You can sign up for the even on our facebook page or enter at the StaxUP Storage facility in Chula Vista. “We are basically a family here at StaxUP, so we also want them to feel at home and feel welcome,” Gary said. The baskets, along with their individual self storage giveaways, will also be filled to the brim with Easter-candy favorites, flavored cider, and other treats! Gary’s idea to use Easter as a way to bring his tenants closer together comes from his own experience celebrating the holiday with his family. He says he plans on going to El Shaddai Church of God with his with his parents and children, then enjoying Easter dinner with them. Gary is also looking forward to spending Easter in this particular church since it holds a special meaning for his family. “My dad actually helped build this church when I was a child,” Gary said. “It’s an all family member’s kind of church, and I think going there with the family will make my mom really happy,” he said. It is clear that Gary holds a strong bond with his family; Especially with his mother. He gives his mother credit for his decorating flair and giving spirit. Our first basket is for new tenants! All new move-ins from March 1st through March 26 are eligible and will be entered in a drawing that will be chosen at the closing of March 26th. The second basket will be for a current tenant that paid this month’s rent on time (All those who paid on time will be eligible and will be entered in a drawing to be conducted on March 26th ). Both winners will be contacted during the week leading up to Easter weekend and may pick up their baskets at that time. Happy Easter from our StaxUP family to yours!